The Sqirl Restaurant at 720 Virgil provides a hip coffee shop restaurant experience appealing to the new millennials residents who occupy many of the newly renovated housing units in this East Hollywood neighborhood near the Sunset Junction. Previously, this area was devoid of such eateries. New hip restaurants and retail continue to fill the commercial streets adjacent the gentrifying neighborhoods in Echo Park, Silver Lake, Highland Park, and East Hollywood. Retail brokers are promoting York Avenue and Figueroa Boulevards in Highland Park as the next Abbot Kinney to drive up retail prices. This cafe replaced the La Raza Market and Restaurant. 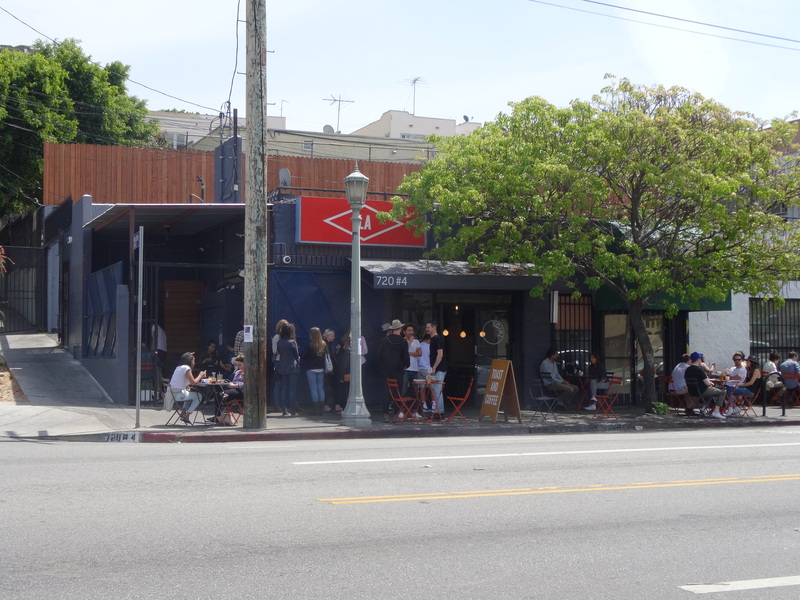 Although some in the older population resent the changes occurring to the retail in their neighborhood , the Sqirl is still one of the few such establishments on Virgil Boulevard between Melrose Avenue and Santa Monica Boulevard. Gentrification takes decades and occurs in fits and starts. Currently, many homes have been renovated to appeal to younger home buyers and now many apartments are also being renovated.